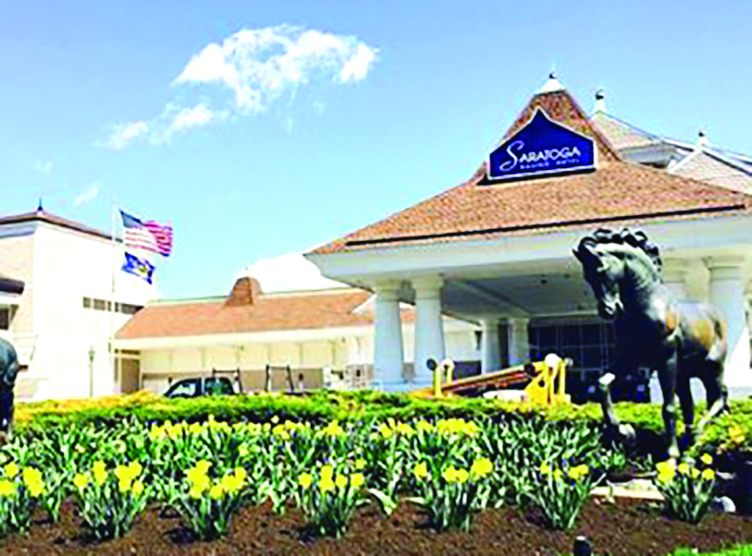 A new sign, ‘Saratoga Casino Hotel,’ was erected at the casino on Jefferson Street in Saratoga Springs. The casino is rebranding itself in anticipation of opening its new hotel in June. Saratoga Casino and Raceway has changed its brand for the property. It announced on April 27 it will now be called the Saratoga Casino Hotel. The change took place immediately, in advance of the anticipated opening of its new 117-room hotel expansion. Officials said the brand change reflects the casino’s transformation into a comprehensive, modern destination that offers something for everyone. The $40 million, 123,000-square-foot hotel is set to open in July, officials said. Featuring 117 luxury rooms and suites, the hotel will be located just steps away from the casino floor and harness track. The hotel’s premium rooms and suites are named after the raceway’s founders and longtime President, Roland Harriman, Dunbar Bostwick, and Ernest Morris. Suites feature large bay windows, and many overlook the harness track. Additionally, guests will be able to watch and wager on live harness racing from every room in the hotel. Solar panels like these in Halfmoon can help reduce energy bills for some residents. 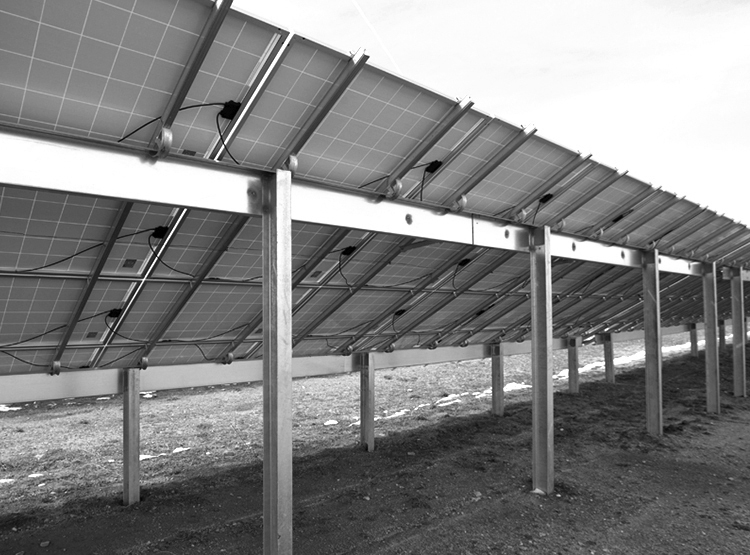 The New York State Energy Research and Development Authority (NYSERDA), state Department of Public Service (DPS), EnterSolar and Clean Energy Collective (CEC) began a collaborative project in April involving construction of the first Shared Renewables community solar project in New York state. The project is taking place in Halfmoon. State officials said the project advances the goals of the state’s Reforming the Energy Vision (REV) strategy to build a clean, resilient and affordable energy system by helping to make clean energy a possible choice for more residents. The success of REV depends on communities taking charge of their own energy as New York increases the growth of electricity generation at customer sites to supplement power generated at central power plants, NYSERDA officials said. The announcement was made at the groundbreaking for the project April 27 in Halfmoon. The Halfmoon Community Solar Project will feed solar energy to the grid operated by New York State Electric & Gas Corp. (NYSEG) and will allow more than 100 residential customers in NYSEG’s Capital Region territory (parts of Columbia, Essex, Rensselaer, Saratoga and Washington counties), including low-income residents, to participate in local clean power generation and save money on their electricity bills. 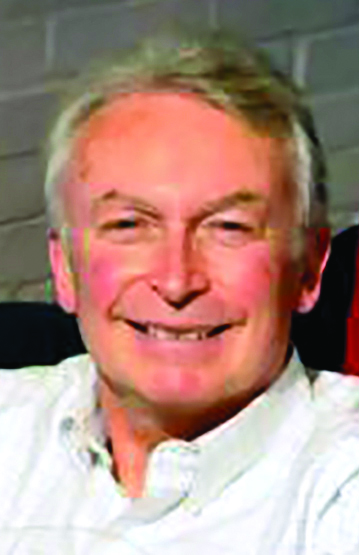 Jim Letts was appointed the new CEO of the Saratoga Automobile Museum. The board of trustees of the Saratoga Automobile Museum appointed Jim Letts, CEO of the Saratoga Regional YMCA for the past 12 years, as the museum’s new executive director,. One of the factors in Letts coming to the museum was his interest in its nationally recognized distracted driving program, museum officials said. Stephanie Siracusa has opened a new show store, Stephanie Anne’s in Saratoga Springs. Stephanie Siracusa is trading in her real estate career for a new pair of heels–to be exact, a whole store full of them. Her new shoe store, Stephanie Anne’s, opened in the Saratoga Marketplace, 454 Broadway, on the main level, in between Pangea and Mango Tree. Siracusa offers a wide assortment of shoes, boots and sandals that will appeal to women who love shoes. “I’ve thought about opening either a clothing or a shoe store for years,” said Siracusa. She is originally from Dallas and lived for several years in New York City as well. When she moved to Delmar, the Shoe Depot in Saratoga became her “go to” store for shoes. “When they closed, it left a gaping hole in the market,” she said. When Siracusa moved from Delmar to Saratoga Springs a few years ago, her plan was to either sell real estate or open a shop. She stuck to that plan and worked with Berkshire Hathaway Home Services on Broadway. But, the lure of opening her own retail store was strong and, after a couple of years as a realtor, she decided to make the career change. Cathy Carollo, owner of Curtain and Carpet Concepts, with assistant designer Scott Drake. After years of being in the home decor business, Cathy Carollo said she knew it was time to find a space that could accommodate both her growing business and her growing dream. Carollo has been helping clients with curtains, carpets, and home dÃ©cor for 22 years. She bought the popular Curtain Exchange of Saratoga in 2002 in the former fire department building at 543 Broadway. To account for expansion, she moved recently to larger space and created Curtain and Carpet Concepts at 46 Marion Ave., in the shopping area that has Fresh Markets, Smashburgers and other commercial ventures, behind the Hamlets housing project. “I have been in business in Saratoga, in the oriental rug and carpet end, for 22 years, beginning with Jacobsen Orientals, then with Stockade Orientals as a third-generation rug dealer,” said Carollo. Louise McManus, left, and Anouk Booneman are the owners of Vischer Ferry General Store at 357 Riverview Road, Rexford, that features a café open for breakfast and lunch. Vischer Ferry General Store, owned and operated by Louise McManus and Anouk Booneman, features retail space as well as a café open for breakfast and lunch. The store, at 357 Riverview Road, Rexford, held a ribbon-cutting ceremony on April 22. McManus worked at the bridal shop Lily Saratoga for 10 years and also worked as a jewelry designer before opening the business. She brings to Vischer Ferry General Store her knowledge of the retail industry and is responsible for purchasing items for that portion of the store. Some of McManus’ favorite items at the shop include the jewelry line by Alex Monroe. The line features nature-inspired pieces, such as rabbits and birds. Another favorite is Library of Flowers, a bath and body line featuring lotions, perfumes, soaps, candles, oils, bubble bath, shower gels, and more. Tiffany Robyck, owner and founder of Ballston Spa Fitness on Ralph Street in Ballston Spa, offers a new array of fitness programs in a new indoor cycling studio called Ballston Spa Cycle. Ballston Spa Fitness has expanded its facility with the addition of a new indoor cycling studio called Ballston Spa Cycle. Ballston Spa Cycle is in the same location as Ballston Spa Fitness, 18 Ralph St. There are six certified indoor cycling instructors who offer classes at various times every day of the week. Classes are 45-60 minutes long. NBT Bank was named 2015 Financial Institution of the Year at the 12th annual LPL Financial Institution Services Program Leadership Conference held in Fort Lauderdale, Fla. The annual conference is one of the industry’s largest gatherings of financial institution investment program leaders, with more than 250 bank and credit union program managers and executives in attendance this year. The conference provided attendees with the opportunity to discuss challenges and opportunities in today’s financial services environment and the importance of wealth management for the long-term growth of community banks and credit unions and to network with peers. The Ballston Spa Business & Professional Association will be sponsoring a Networking Breakfast on Tuesday, May 17, from 7:30-8:30 a.m., hosted by Community Emergency Corps, 78 Thompson St. in Ballston Spa. Community Emergency Corps, which celebrates 50 years of service in 2016, is a nonprofit, emergency medical service organization that serves the Village of Ballston Spa, the Town of Milton, part of the Town of Ballston. The breakfast falls will include a demonstration of life-saving equipment, as well as a discussion about the world of EMS. Cost for the breakfast is $5 with advance reservation or $10 that morning, both payable at the door. Business and community members are welcome. The BSBPA sponsors networking breakfasts every month at different locations in Ballston Spa. For more information or to RSVP, call 885-2772 or email info@ballston.org. Darren DeVietro, left, and his father Dominick DeVietro, have opened the Beekman Street Cafe in the Beekman Street Arts District in Saratoga Springs. A new restaurant serving breakfast and lunch has opened on the west side of Saratoga Springs, specializing in fresh breakfast sandwiches, homemade baked goods and its unique blend of coffee. Beekman Street Cafe opened in April at 51 Ash St. in the Beekman Street Arts District (at the corner of Beekman and Ash streets), “quietly,” said co-owner Darren DeVietro, and its official grand opening was held May 1. He owns the business with his father, Dominick DeVietro. The pair has owned the restaurant 62 Beekman St., just down the block, for nearly three years. DeVietro said about a year and a half ago, 62 Beekman started making its own homemade desserts (he is the baker) and “they just took off” in popularity. With the demand growing, and limited space, they started looking for another place where the baking could be done. Hal Raven has started a boat charter and cruise company on Saratoga Lake. There’s a new way to enjoy Saratoga Lake this summer with the introduction of local entrepreneur Hal Raven’s latest venture, Adirondack Cruise and Charter Co.
Raven runs a boat charter and cruise company that will take people around the local lake. Tours will typically be two-hour rides for up to eight people with a cost starting at $275. Starting small this season with just one eight-passenger pontoon boat, Raven already has big plans for the future of his business. He anticipated adding a 30-passenger vessel to his lineup to accommodate larger parties. Part of his vision includes early 1900s-style steamboats like ones that used on the lake a century ago. “It just seems so Saratoga,” he said.